Eight years ago from yesterday (June 21st, 2006), my wife Brita and I had our very first date! We were just 16 and we've been together ever since. For our first date, I took her to see Cars, went out for ice cream and I met her family for the first time. To celebrate our first date yesterday, Brita and I exchanged some presents. 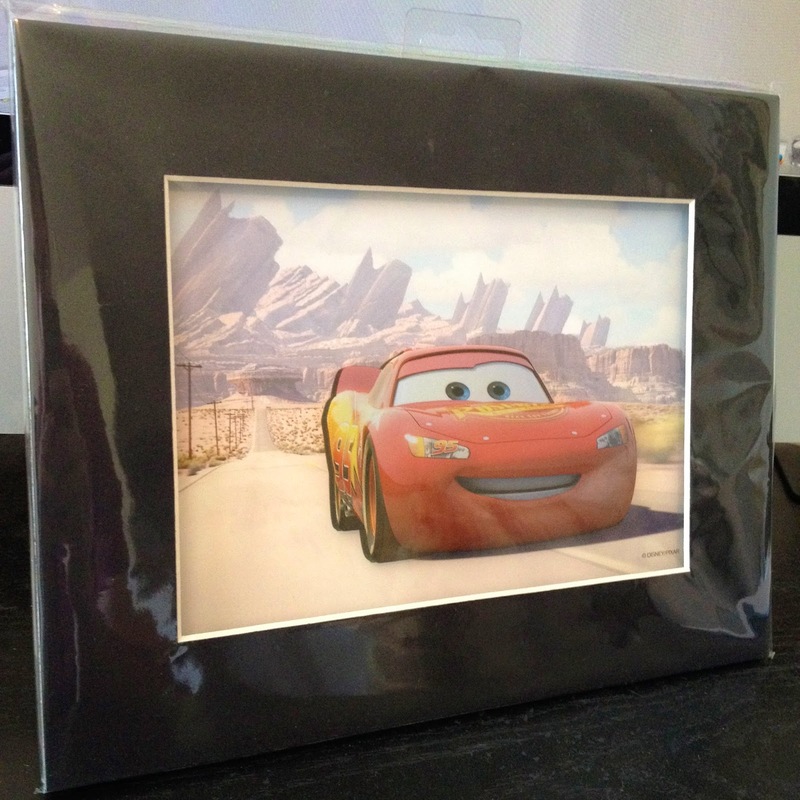 She was thoughtful enough to have gotten me yet another amazing Art of Disney exclusive 3D laser cel print, this time featuring Lightning Mcqueen from Cars. How appropriate! This post is following the write ups I did for two of the other prints I've received so far, the Finding Nemo one and The Incredibles one. If you've read those, then you've pretty much read all the info you need to know about this one as well. When we were there at the Art of Disney Store (at Downtown Disney) during our Disney World trip last month, Brita noticed how much I loved this particular collection of prints there and secretly bought them all. This Cars one actually wasn't available at the store anymore so she was cool enough to track it down on eBay once we got home. There are six Pixar themed prints that were released total. The others besides this one include images from Toy Story Toons: Hawaiian Vacation, Monsters Inc., Finding Nemo, The Incredibles (already mentioned) and Up. I'm not sure how many pieces of these "limited" prints are out there, but few enough that I can see these going up in price very soon and becoming hard to find. At the Art of Animation store, they retail for $39.99 and are 8" X 10" in size. 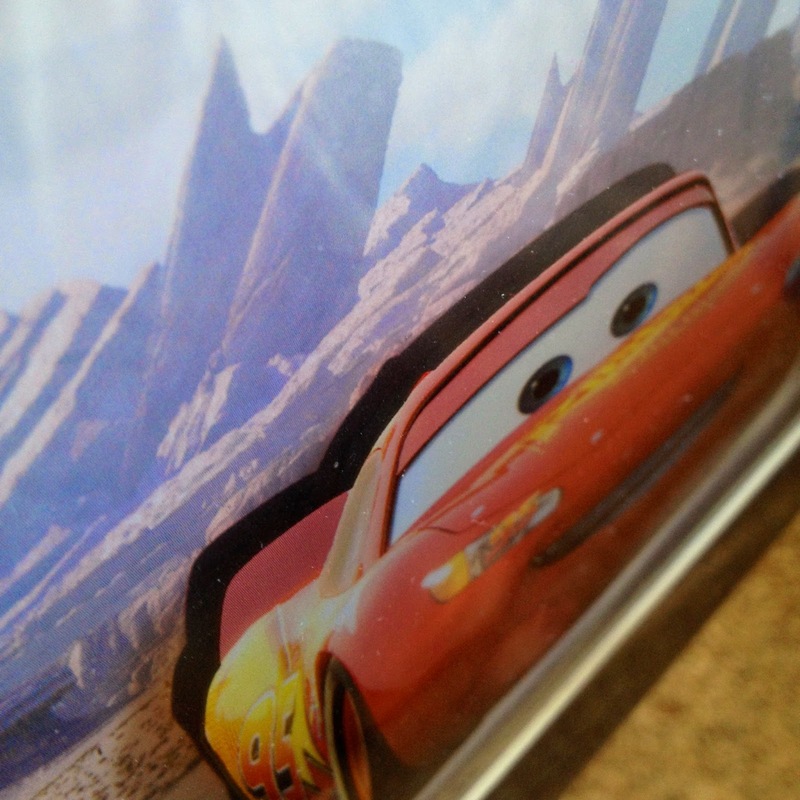 It's hard to tell on here from the picture below, but Lightning Mcqueen is "raised" (with the background behind them about 1 cm) for the really cool 3D effect. These are quality made prints with vibrant colors. I've yet to take the clear shrink wrap off to I can keep them protected until I have room to display them one day, but it's obvious to tell how nice the material is that this print is matted on. 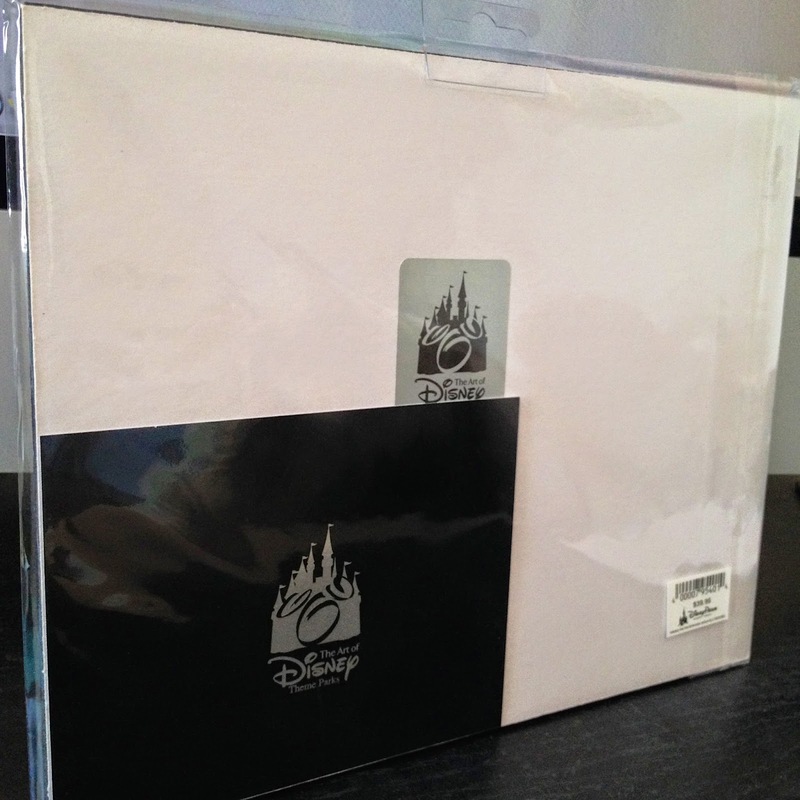 Also included is an official Disney Parks certificate of authenticity. These prints are just so awesome in person. The pictures doesn't really do it justice. I just love the clear, glossy "window" looking into such a colorful, iconic, 3D Pixar image. It really pops!